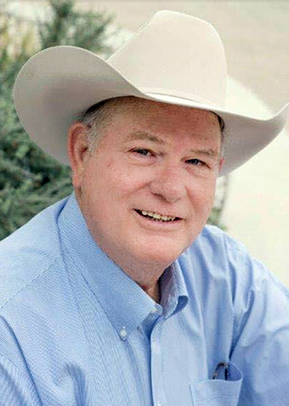 Carlsbad native Ernest B. Carlson has announced he is seeking election to the Eddy County Commission, District 1. As a single father, Carlson says he chose to raise his daughter and son in the family-friendly environment that exists in Eddy County. A 1968 graduate of Carlsbad High School, he earned a Bachelor of Business Administration in Accounting from New Mexico State University and is a Certified Public Accountant, having practiced accounting for almost 40 years. Carlson, who also ran for county commission in 2014, will run as a Republican in the 2018 election. “There is no place for partisan politics in Eddy County,” Carlson says. “Like myself and most other citizens of Eddy County, we believe in sound fiscal responsibility and common-sense governance. Eddy County is experiencing unprecedented growth and now is not the time for the ‘same old, business as usual’ politics. It is the County Government’s obligation to serve the citizens of Eddy County and when policies and choices negatively impact the citizens, then it is the duty of the elected officials to change them. I have the knowledge and experience to move Eddy County forward for the benefit of our neighbors. Carlson says he also wants to push for evening commission meetings so every citizen has the opportunity to voice their concerns and ideas about Eddy County without having to place a hardship on their families by missing work. Committees formed to offer recommendations that affect the daily lives of citizens need to be comprised of a broad spectrum of people across the county, not a select few, he says, stating that meetings need to be adequately advertised so they can be well attended by citizens. Carlson also says he is an advocate of private property rights and will fight for them. A resident of Otis since 1993, Carlson has been employed as the Chief Financial Officer of Constructors Inc. for more than 25 years. Prior to this, he practiced as a CPA, primarily in oil and gas accounting. 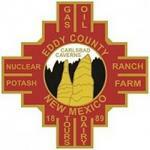 Carlson is past president of the Associated Contractors of New Mexico and the Eddy County Sheriff’s Posse, member of the Mayor’s Nuclear Task Force and Mayor’s Energy Summit Committee, and chairman of the Energy Summit Sponsors’ Event.